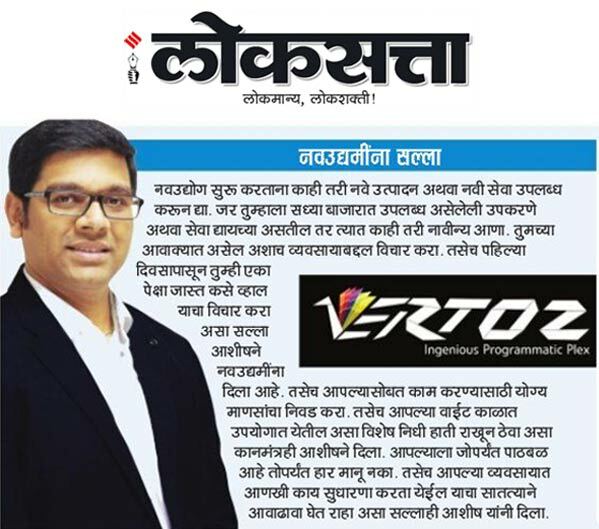 During this interaction with a leading daily of India, Loksatta, our CEO, Ashish Shah shared thoughts on how it all started for Trunkoz Group and also the birth of it’s online advertising business – Vertoz. 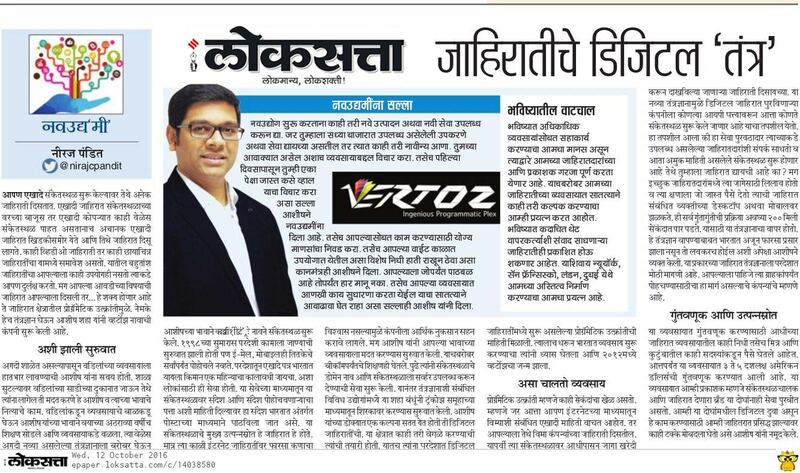 In this interview he gives advice to upcoming entrepreneurs – Give some new product or a new service to customers. If you wish to offer products and services currently available in the market then bring some innovation. While talking about programmatic he said that programmatic advertising has proven to be a great tool for the online advertising industry and has been consistently growing since its inception. Programmatic buying helps advertisers to set budgets and target impressions based on factors such as interest, location and age group to find the right target audience.